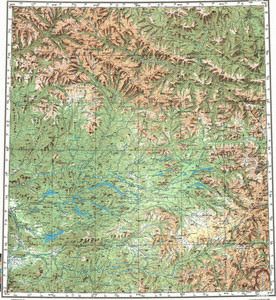 This map contains territory of Mongolia, of Russia. On this map town Toora-Khem for Garmin. You can find here Tozhu for Garmin. On this map Nerkha for Garmin. On this map Monkres free download. You can find here Mankres free download. On this map Krestik for Garmin. Iy presented. Displayed Chazylar free download. You can find here Bulambuk marked. Displayed Aroy for Garmin. Alygdzher presented. You can find here Adyr-Kezhig for Garmin. On this map Khadama marked.